Giving back is part of what Little Paws Pet Boutique is all about. 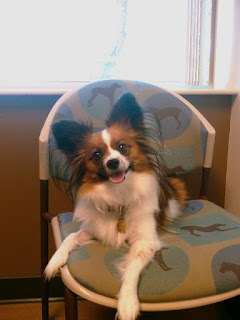 In honor of my dog Mia who lost her battle with stage 4 lymphoma in 2009 at the age of 5 yrs. we made a donation to the National Canine Cancer Foundation. http://www.wearethecure.org/. Our Gift to you! 15% Off your entire order. 15% off your online order and a Free Gift at Checkout. 4 Days of Free Shipping! 4 Days of Free Shipping with online purchase and a Free Gift at checkout. 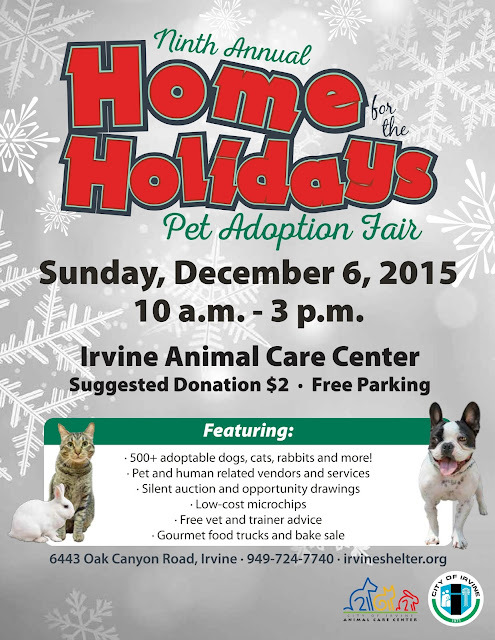 We hope you can join us at the Home for the Holidays Pet Adoption Fair at the Irvine Animal Care Center. Little Paws Pet Boutique will have a booth there with dog, cat, rabbit and pet parent products at Special Event Prices. Leashed and vaccinated dogs are welcome to the event. Quick tip: If you do not bring your dog and want to purchase collars or clothing for you dog make sure to measure and bring your dog(s) neck, chest and length measurements and approx weight. Come by our booth and say "Hello" to Little Paws Pet Boutique model and Chief Dog Officer Gidget. Hope to see you soon!